Rocky St-Onge hardly speaks a word of English, though he sings along to Johnny Cash just fine. But as the staccato of “I Walk the Line” fills his minivan, its message of staying within boundaries goes right out the open window. Today, all he’s thinking about is crossing them. 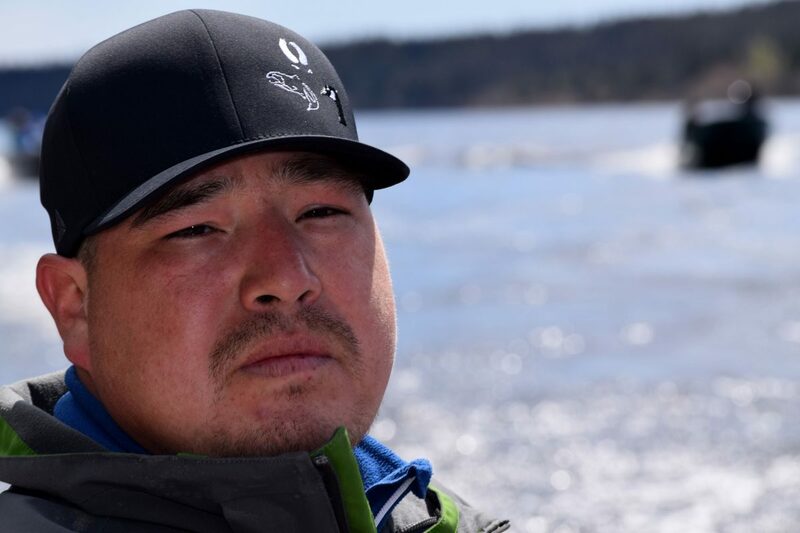 St-Onge, a baby-faced father of six and member of the Innu Takuaikan Uashat mak Mani-Utenam Nation, is going fishing for salmon—illegally—in a restricted section of the Moisie River in eastern Quebec. This spot, known to St-Onge as Nekatshun, is the ancestral fishing grounds of his people. It’s prime Atlantic salmon territory, but for more than 100 years 393 of the river’s 410 kilometers have been off limits to the nation. Today, this chunk of the river goes by a different name, the Moisie Salmon Club. It’s an elite, exclusive fishing lodge that caters to wealthy white Americans. “This river was our highway that gave us access to salmon down here in the summer and caribou up north in the winter,” St-Onge says in French as we approach the boat launch. “But today our access is restricted, so we have to fish in the worst spots of the river. St-Onge clenches both fists as he vents, pumping them past the steering wheel as we idle next to the boat launch. Ever since he can remember, he says, his people believed that the Government of Canada was holding the land under a long-term lease and would one day, when the lease expired, return the land and fishing grounds to them. One tiny problem: there is no lease. In 2016, the community uncovered the truth. A local anthropologist and a surveying firm discovered that the land and surrounding riverbed had been sold—in 1906—for CAN $20,000. The buyer was Ivers Adams, a prominent Boston businessman better known for founding the Boston Red Stockings, a professional baseball team and the precursor to today’s Atlanta Braves. The discovery outraged the Innu Takuaikan Uashat mak Mani-Utenam. In June 2017, they staged a protest at the club, demanding recognition of their Aboriginal land rights. Now, under the direction of St-Onge, roughly a dozen Innu are staging a repeat. And this time, St-Onge is bringing the kids. Discussions were held, but the president of the Moisie Salmon Club, Manhattan attorney Donald Christ, dug in his heels. Christ did not respond to a request for comment, but according to Jean-Claude Pinette, former director of the land and rights protection office for the Assembly of First Nations Quebec-Labrador, Christ said he would not be open to discussions about granting the Innu any river access in front of the club. Tensions came to a boil. In May—nearly a year after the first protest—the Quebec government approached the Innu Takuaikan Uashat mak Mani-Utenam’s leaders with a proposal: we’ll give you half a million dollars to help fund jobs in the community, and you drop the river access issue for a year. It wasn’t what the community was looking for, but according to Ken Rock, a lawyer representing the Innu, the chief and his band council saw it as a compromise that would better position the nation for future negotiations with the government. Jean Morin, communications director and spokesperson for the Innu community, says the agreement is not a treaty designed to negate or extinguish Aboriginal rights. “The parties to this agreement are committed to continuing nation-to-nation discussions aimed at the full management of the Moisie River and its tributaries by the Innu,” Morin says. The community’s band council signed on. St-Onge gets three of his six kids—a son and two daughters—settled in their life jackets in a small aluminum motorboat and pulls out onto the river. His game face softens as he takes in the raw beauty: deep layers of towering pines collaring a pristine and sun-glistened waterway. But a kilometer downriver, he winces as the engine starts to cough. It idles briefly and coughs again, sputtering hopelessly before conking out. The river turns quiet as St-Onge gives the cord a strong pull. And another. Fed up, he maneuvers the boat to the river’s edge where thatches of thick brush jut out from the bank. Each kid grabs a scraggly strand to stabilize the boat against the current as their dad attempts a rapid succession of pull starts. Tears begin streaming down his five-year-old daughter’s face as a gust of wind sweeps by and rips off his eight-year-old son’s baseball cap. Just when St-Onge hits the point of exasperation—with the boat, with the kids, with the whole Moisie River conflict—the engine turns. Ten minutes later, we come upon a white wooden sign that reads, “Limite Camp De Pêche Riv. Moisie”—the edge of the fishing camp. We’ve made it to the forbidden zone. Without hesitation, St-Onge keeps the throttle cranked. A small flotilla of Innu motorboats follows. St-Onge edges his boat over to the riverbank, ties it up, and starts lugging coolers and groceries onto the lawn. A smattering of club staffers filters out of groomed white cabins to witness the intrusion. “We have lunch, then go fishing,” St-Onge says to me, his smirk laced with nervous rebellion. The other Innu park their boats and join us at the picnic spot roughly six meters from the club’s helipad. St-Onge breaks out a large tray of salmon that he had caught, salted, and smoked the day before, and the assembled protestors recite a prayer. Then, sitting on a spot where their ancestors may have gathered for meals generations ago, they eat. No one from the club comes over to intervene. After lunch, the Innu fish. St-Onge makes it clear that for him, fishing is not about sport. “The pleasure of catching salmon for me is to offer it to an elder to eat,” he says. He slings his fishing pole over one side of the boat, his son takes the other. During last year’s protest, it took all of 15 minutes to pull a huge salmon from the river. But today, the fish aren’t biting. St-Onge trolls another 20 minutes before giving up. As he turns his boat around, ripples spread across his ancestral highway. Then they dissipate. The surface of the Moisie River is calm as the last marks of his protest fade above his coveted salmon stocks. 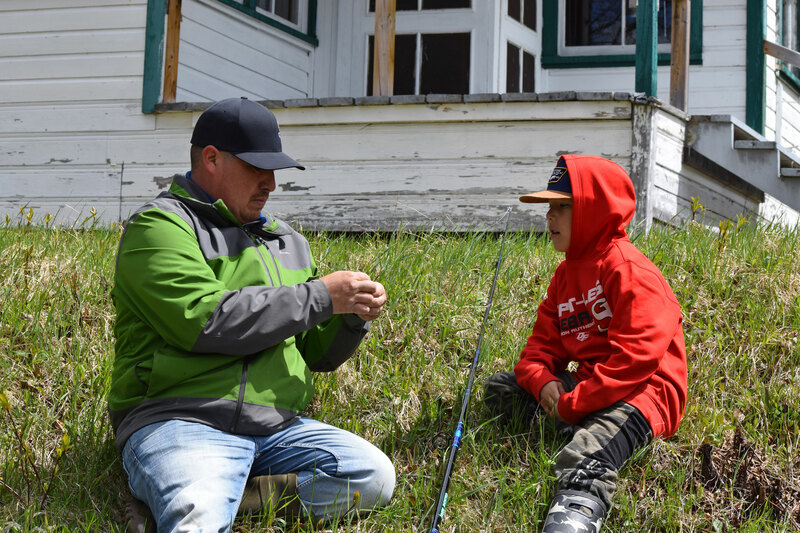 The fishing was unsuccessful, but the message of his protest, he hopes, will be heard—by the government, by the club owners, and this time by the Innu band council. With band council elections set for 2019, what happens after that is anyone’s guess. But St-Onge isn’t buying in. He will keep fighting to affirm his heritage. 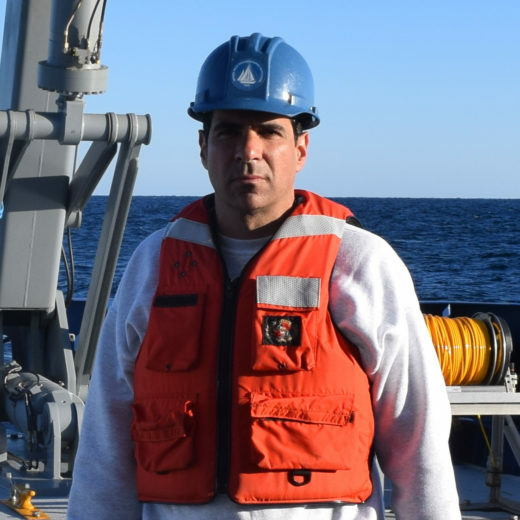 Cite this Article: Evan Lubofsky “Crossing the Line,” Hakai Magazine, Jun 22, 2018, accessed April 21st, 2019, https://www.hakaimagazine.com/news/crossing-the-line/. Against a backdrop of competing cultural and commercial interests, Canadian regulators will soon spin the wheel on the future of the little-understood American eel.